I don't know about you guys, but I can not believe we're about to ring in 2017! I'm not sure where this year has gone. I say it every year, but honestly, the older my kids get, the faster the years seem to go. It reminds me of when I was a child and my mom would tell me that some day I'd wish time would slow down... all while I was moaning about how looooooong the school year was. I always thought she was crazy, but now, here we are welcoming 2017! This week, I'm bringing back one of my favorites that I've done in previous years. 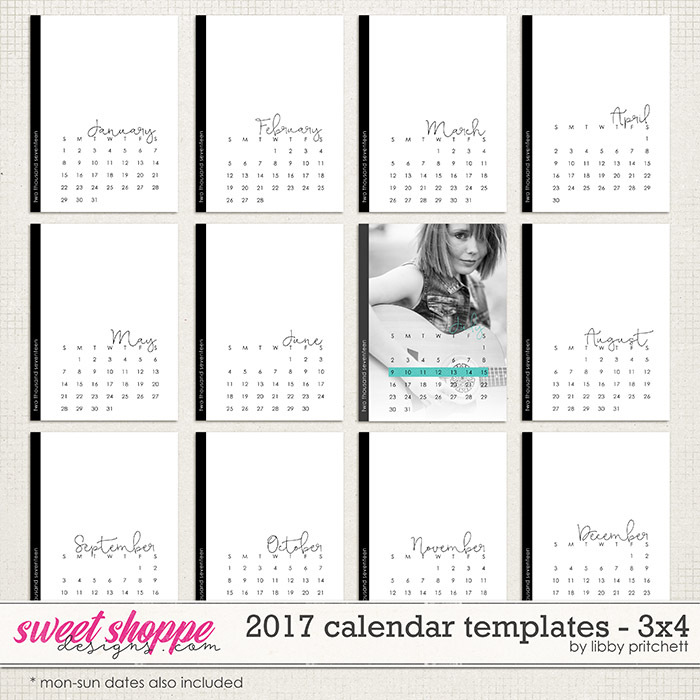 These layered calendar templates are available in 3x4 or 4x6 sizes. Both Mon-Sun and Sun-Sat dating formats are included. Remember, new releases are 25% off all day Saturday! Happy New Year!